Many mobile phone tariffs are advertised with fast LTE connections. Mobile surf speeds of up to 300 Mbit / s are possible. But what do these statements mean in reality? What speeds are actually achieved in practice and what is the surfing experience for the user? Loading pages quickly and completely, streaming videos smoothly, or is it rather agonizingly slow? Our Awaqa network test for Android and iOS answers this question quickly and competently. The app, developed in cooperation with the French manufacturer 4GMark is one of the most sophisticated and credible LTE speed tests on the market. So credible, for example, the French uses them for their measurements. After you have installed the app on your smartphone, start it. Before you start the full test, make sure that you are not in a WLAN or interrupt the WLAN connection for the duration of the test. Otherwise, you measure the Internet connection to the WLAN and not your mobile phone connection. There are two test methods in the app, the speed test, and the full test. The full test includes the speed test, but also a series of further measurements. 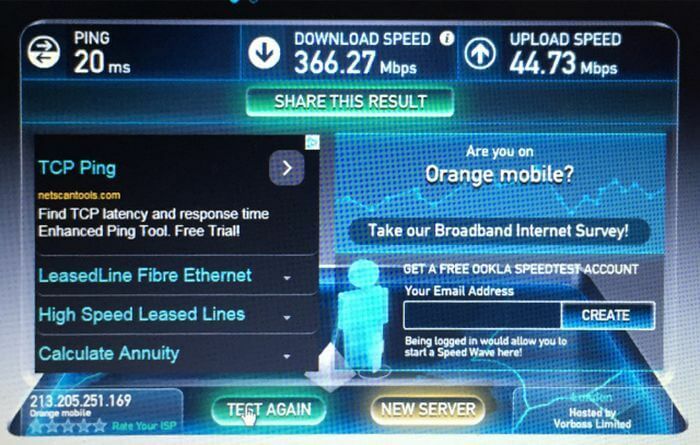 The result therefore clearly indicates more about the current network quality of your provider at your location. After typing “Full-Test”, you should select the environment in which you are (inside, outside, in the car, on the train). The core element in the measurement of network quality is the measurement of the upload and download speeds and the HTTP response time. The app is like many others measure the data rate during a several-second up-up and downloads and forms an average. To determine the HTTP response time, the app measures three times how long it takes to reach a particular server. This is not a ping measurement, since the usual HTTP protocol is used in the surfing routine, and not the ping protocol. In addition to the pure speed tests, the app also assesses the streaming quality of your connection via Youtube and the actually experienced surfing speed. For the measurement of the streaming performance, the app starts a 30 second YouTube video (depending on the connection in different quality) and measures besides the start time also the time it took to load the video completely into the cache. In addition, the app tells you if and how long timeouts were in playback. To evaluate the surfing quality, the app opens 5 popular international websites and measures the time until the page has been loaded completely. Finally, the app displays the results of the 5 single tests in the upper third of the window. In the middle, it calculates a score. This is a point value, which allows the network quality to be compared to all providers and countries. 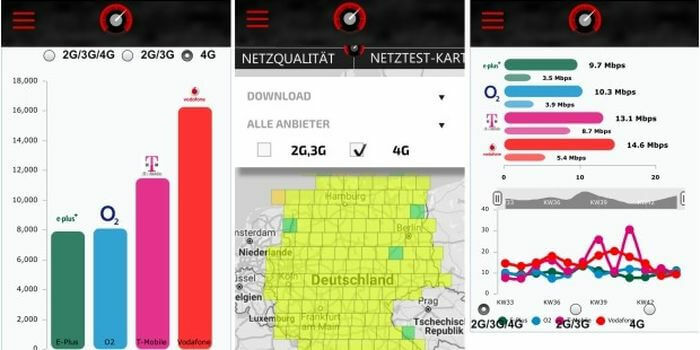 To better understand how your results are compared to the current average values of the German networks, tap the Sandwich menu in the upper left corner and select “Network Monitor”. The weekly updated interactive graphics are the average scores of the German providers for “2G / 3G / 4G” cumulatively “2G / 3G” and 4G separately. Via the button “Network test card” you get an interactive map of Germany where you can zoom in and get the results for download, upload, score, YouTube and the web for each provider and 2G, 3G and 4G. The “Speed-test” and “Network quality” points give you access to the German average values of these partial tests. What types of double camera are there on market?